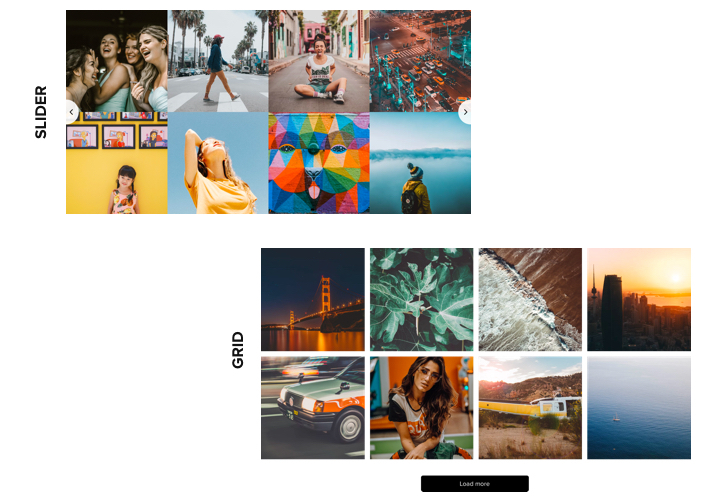 InstaShow is a powerful Instagram plugin, which helps to set up magnificent galleries out of Instagram pictures and videos. 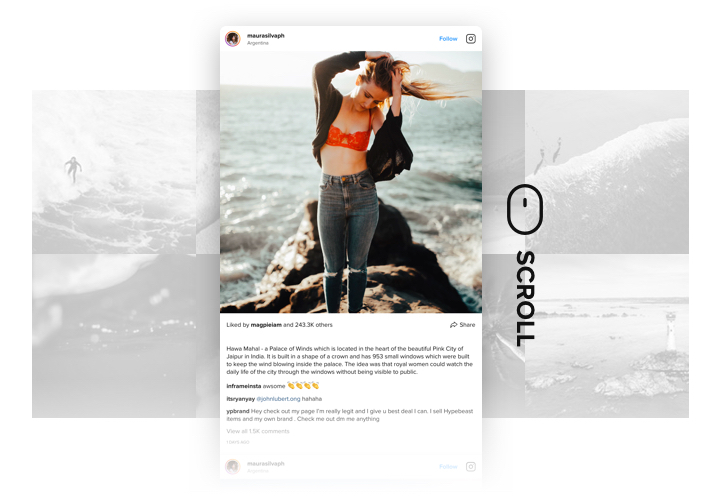 A huge amount of possibilities of customization of your own profile: all sorts of sources, moderation of content, more than 70 adaptive features and 10 design schemes, and fully adaptive for any devices. Apply a fully responsive and useful plugin, to engage the readers of your site at a glance. Increase your sales with trendy complelling images. 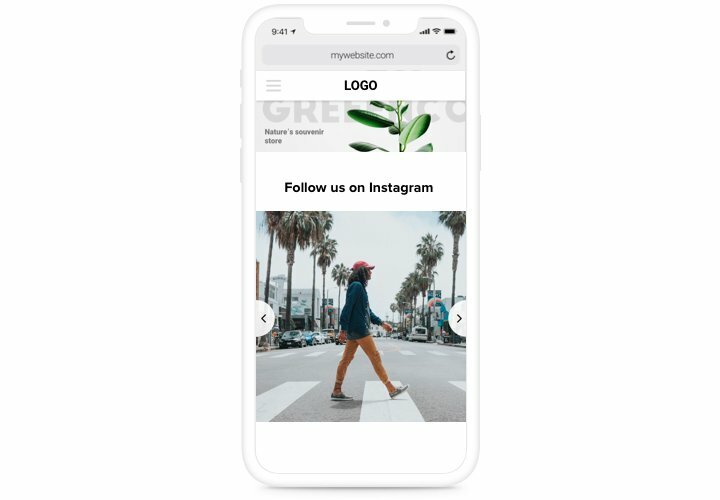 Make use of photos from Instagram – the most beneficial media for advertizing your offers or services, and have an raise of sales on the site. 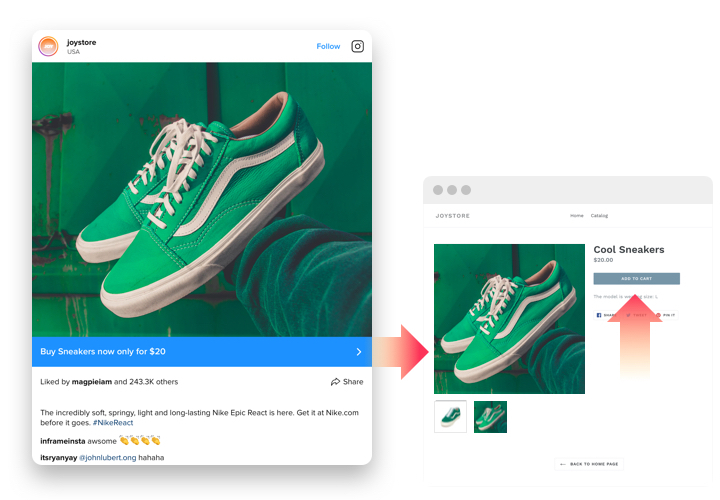 Set up additional links with a call to get subscription and double the amount of fans of your Instagram profile. 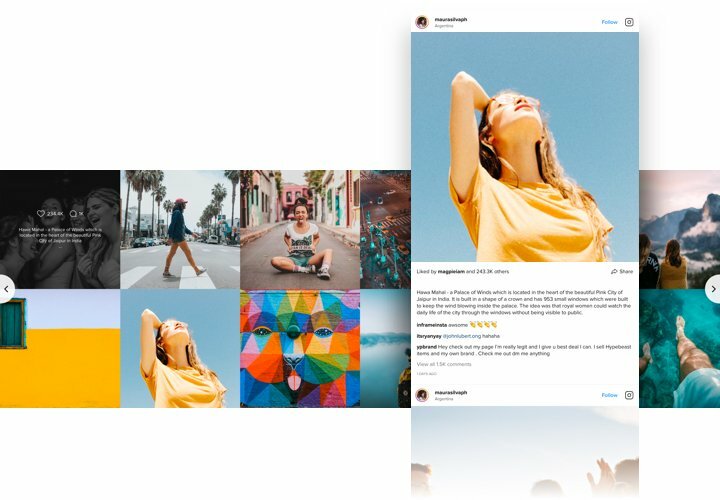 Impress visitors and create more visitor impressions, using content from Instagram, to have more intense engagement. Option to set cache time. Read our brief instruction on embedding and shaping the plugin. Average installation time is not more than 2 min., above that, there’s no need to have abilities in web development. In our free configurator, create a plugin, selecting layout, adding sources and other options. 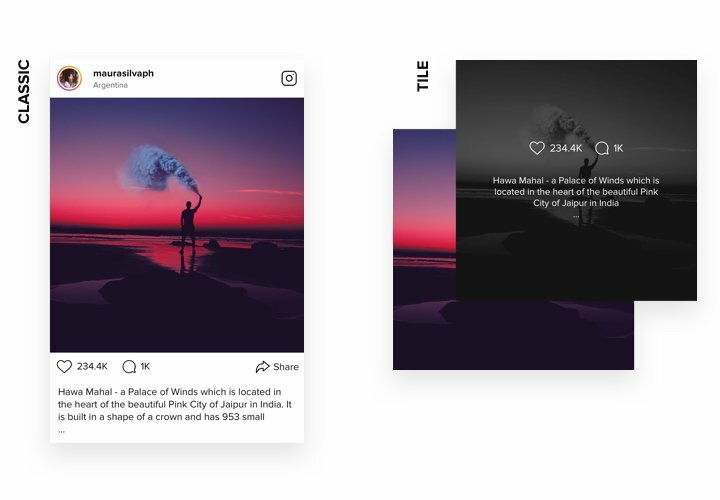 After you have configured the widget, obtain your unique code for Instagram plugin from the popup notification on Elfsight Apps. Add the plugin to the desired area of the page and publish the changes. 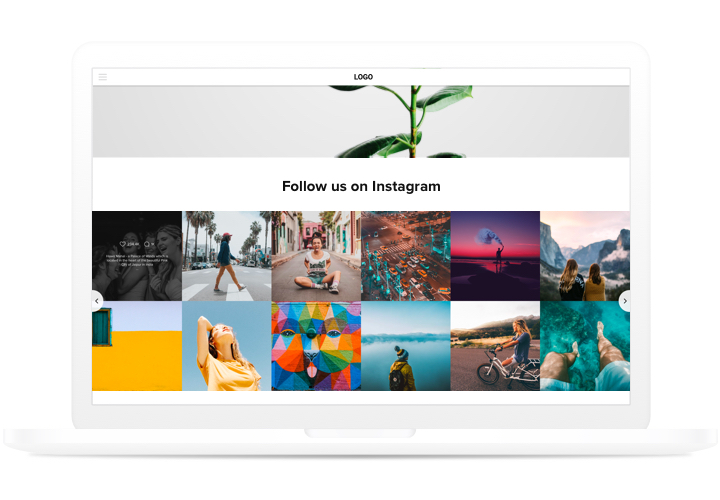 Having questions with displaying the plugin or personalizing your personal Instagram feed? Contact our support. Try Elementor Instagram feed right here!